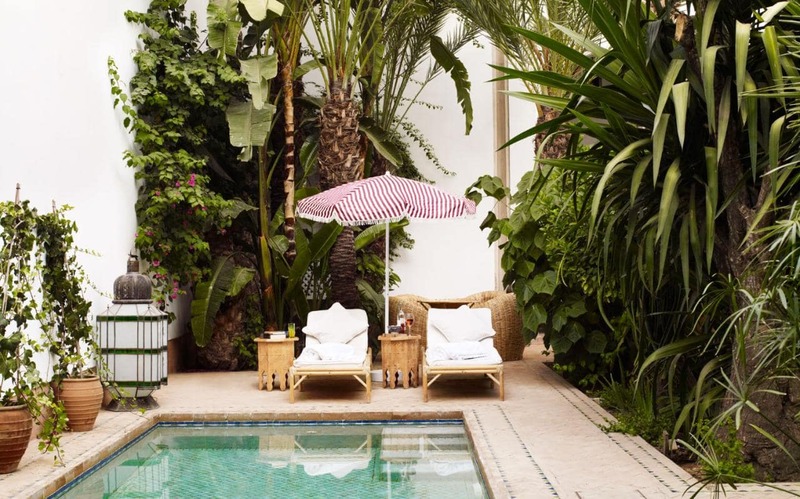 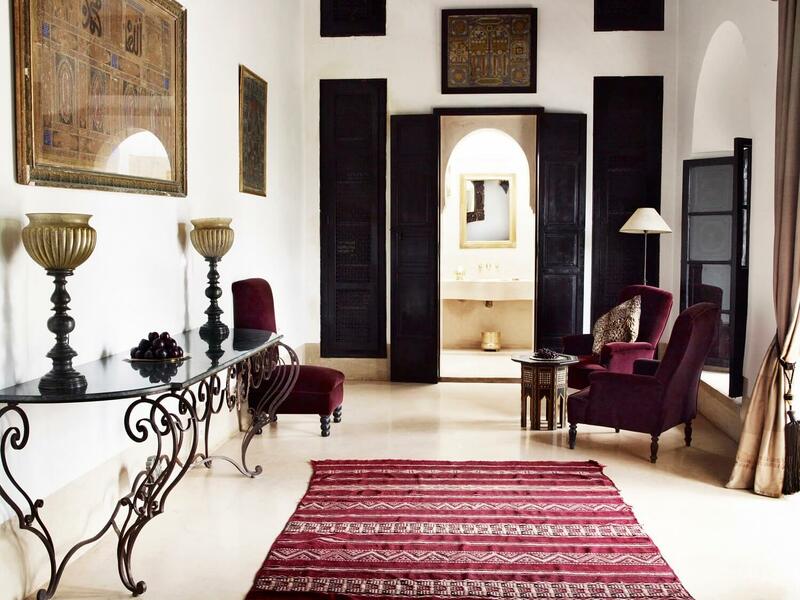 Our wanderlust takes us to a riad in Morocco called l’Hotel Marrakech. 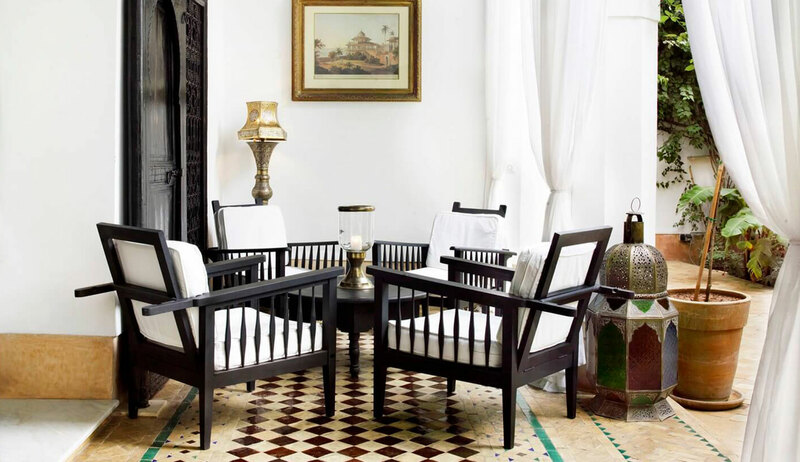 Its exotic location and tasteful design have us dreaming of sipping a cocktail by the courtyard fountain in a caftan. 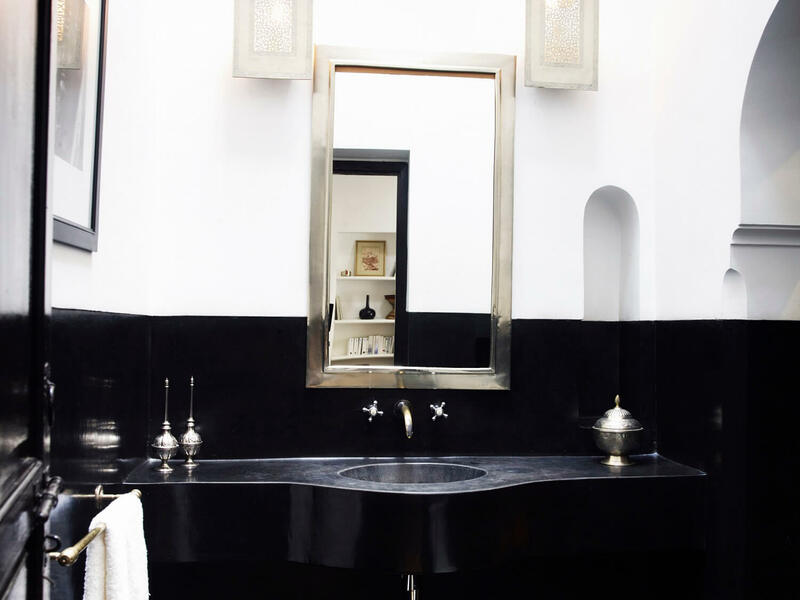 It’s designed by Jasper Conran, son of the iconic designer, Sir Terrence Conran, the man behind the Conran Shop and Habitat. 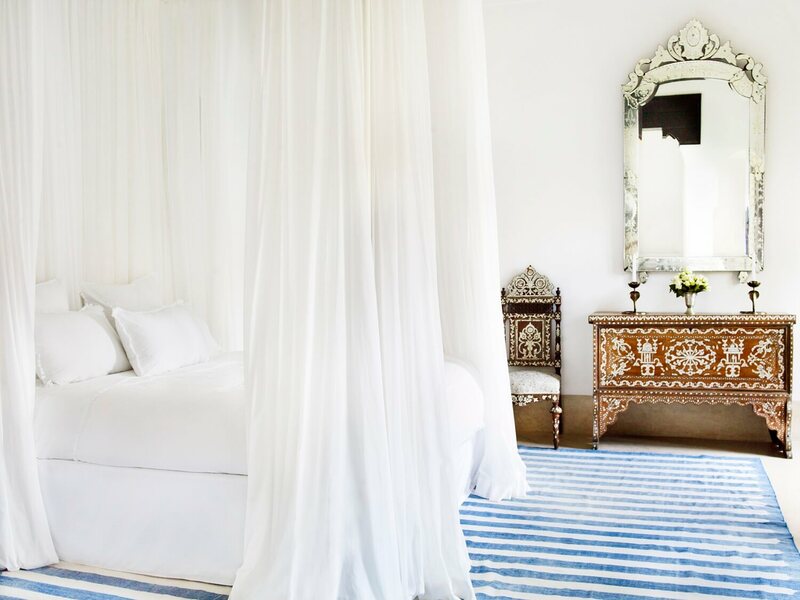 Jasper is a virtuoso in his own right, having designed dresses for the late Princess Diana and a crystal collection for Waterford. 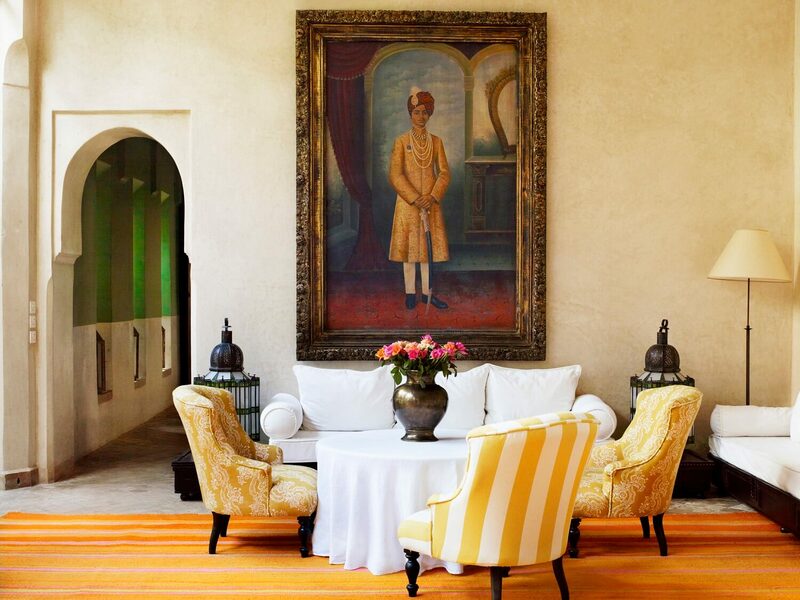 But his true dream, ever since he was 8, was to design his own hotel. 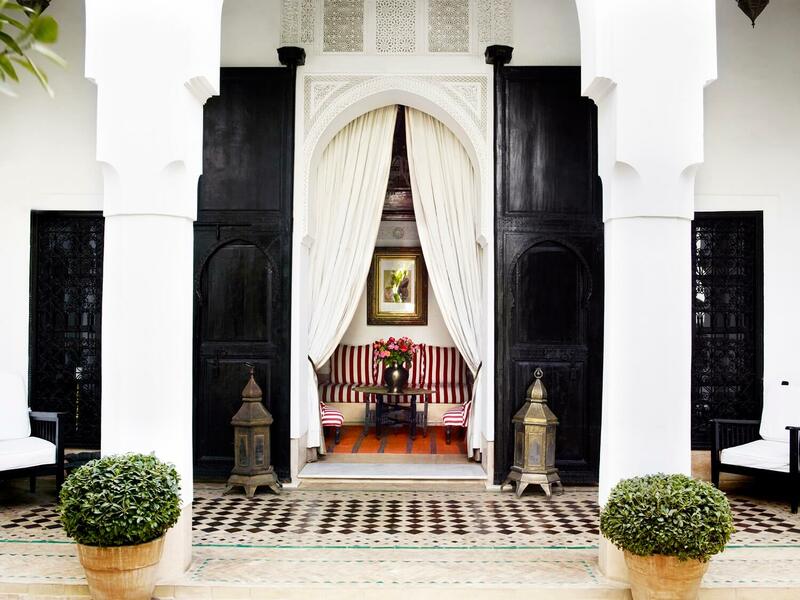 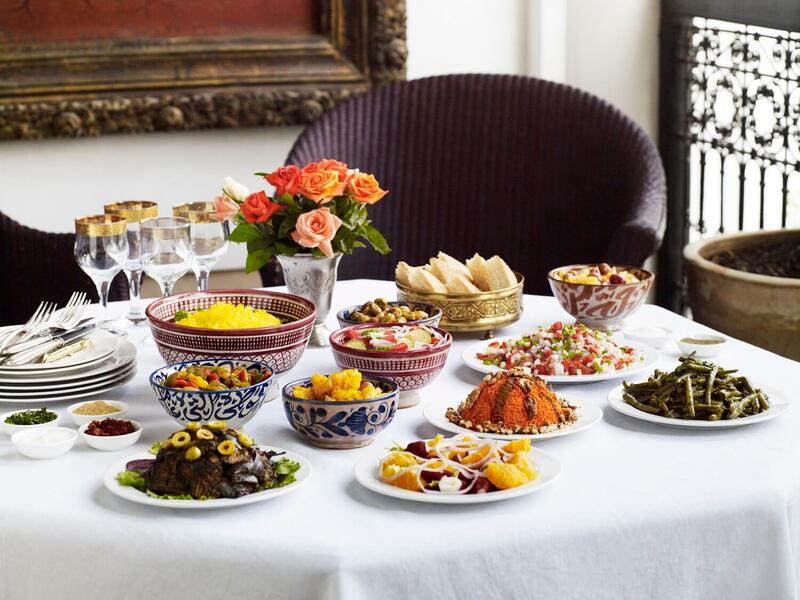 L’hotel Marrakech is his first endeavor, and boy, is it good! 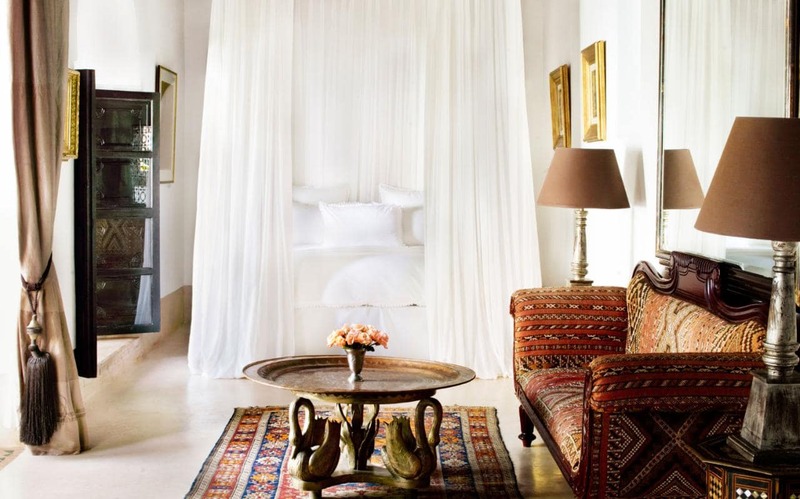 The hotel boasts five suites, each with its own look and tasteful mix of Moroccan inspired decor, traditional accents, and a few contemporary touches. 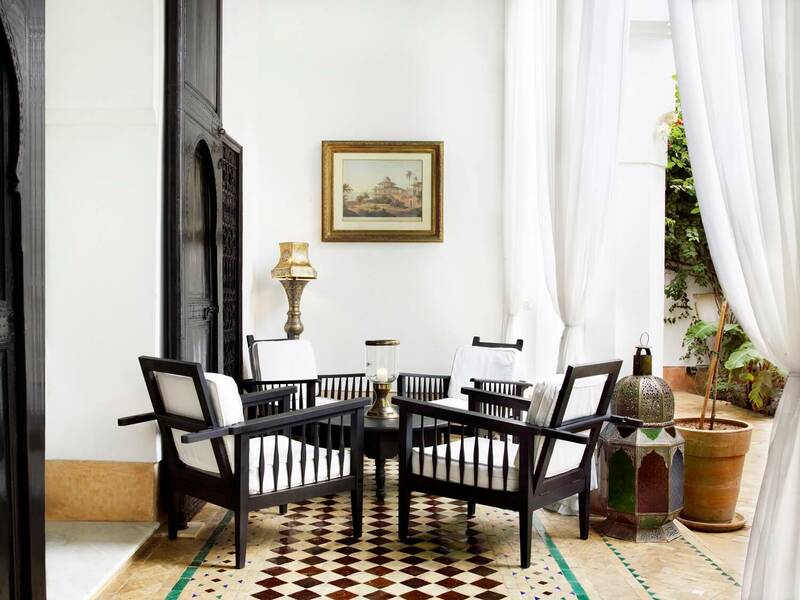 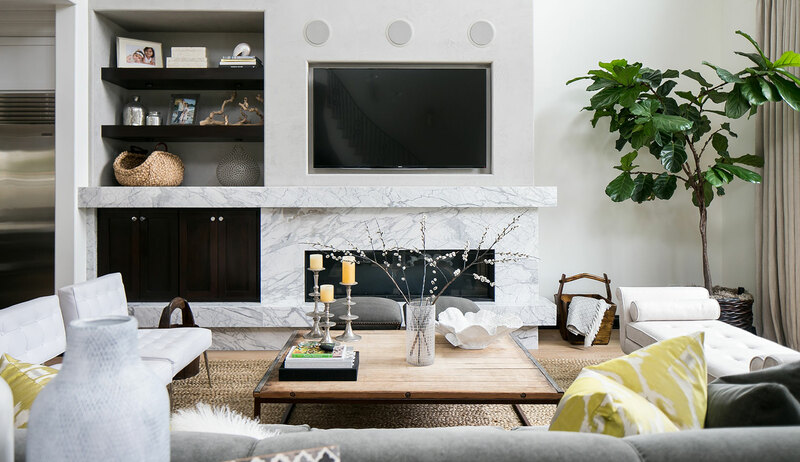 It took him 60 riads before he found this one, a building with good bones that he then transformed with beautiful herringbone tile, a desert inspired color palette, and almost a mile of white voile making each space feel very luxurious and grand. 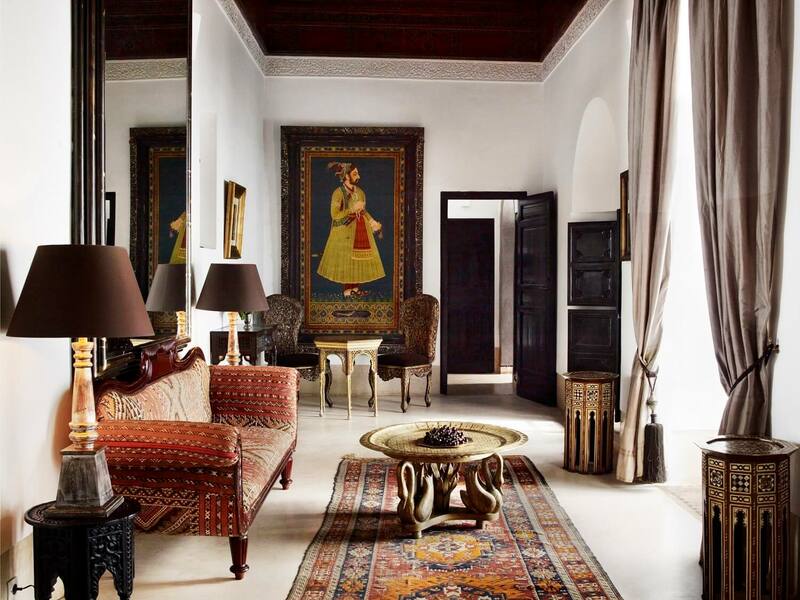 The orange and pink Berber-made carpet in the sitting room is something that dreams are made of…well, at least ours. 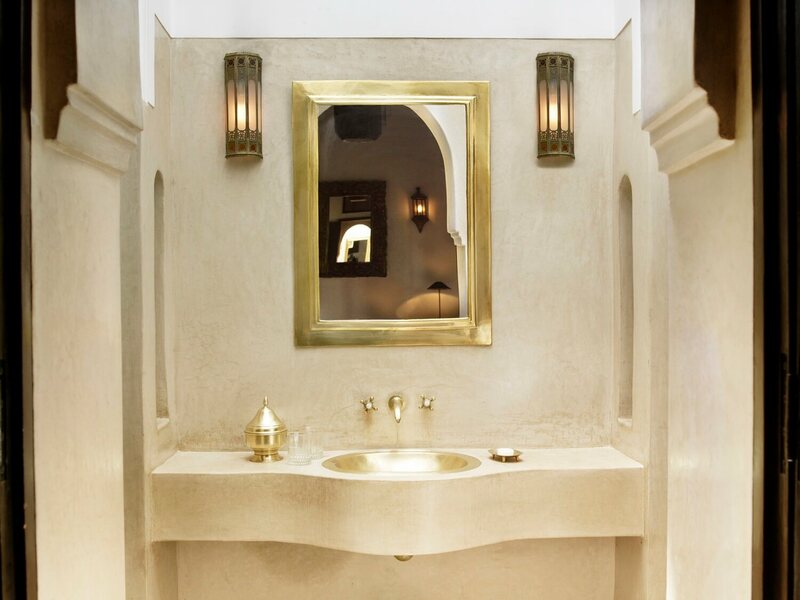 Not to mention that the tadelakt plaster bathrooms make you want to soak in a warm bath with a glass of wine after a long day out on the town.